Aseel Medical Care Hospital was established in December 2010 as the first specialized orthopedic surgery center in the Red Sea, under the name of Aseel medical center (AMC)aiming to cover all specialties of Orthopedic Surgery with the most advanced level of care. In 2012 due to the fantastic expansion in Aseel Medical Center we started to build our new hospital to be able to provide our patients witha wider range of specialties. 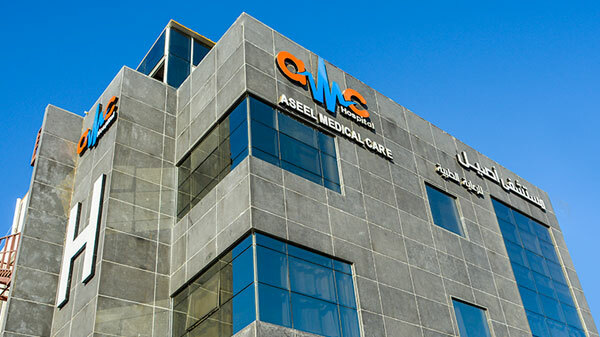 Aseel Medical Care Hospital was open on the 19th of August 2015 as an 24/7 emergency hospital where we will continue to give our patients and our esteemed working companies the same medical and friendly service ensuring the wellbeing of all patients arriving to AMC. Aseel Medical Care Hospital’s reception and nursing staff are well trained with a professional experience in serving patients undergoing minor to major surgeries and are proud of the service they are able to deliver to our patients. Patients receive one-on-one nursing care before and after procedure, allowing ample time for patient and family to obtain after care instructions and have all their questions answered. Thank you for your help while we were there, you were very kind to me, also, would you thank all the Doctors & nurses concerned with my husband case. Many thanks for your help & friendly shoulder.